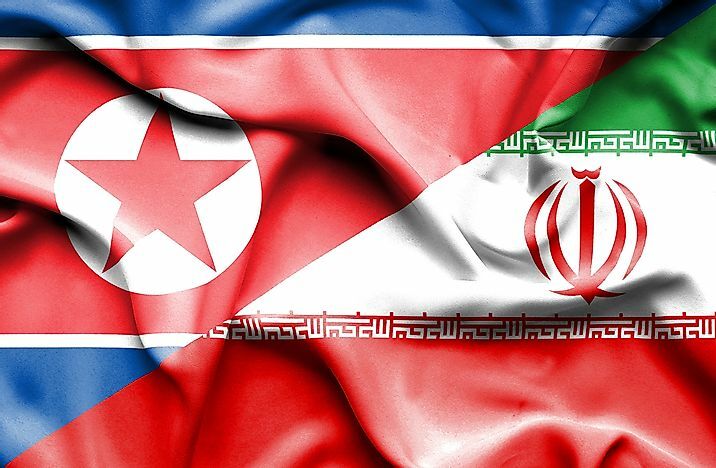 Both North Korea and Iran are considered to be "rogue states" by the United States. The concept of ‘Rogue States’ is one that has been written on and explored over the years by numerous International Relations specialists and scholars. However, the concept, though widely written about and discussed in various forums, still warrants close and meticulous look because it plays a critical role in international politics, international policy planning, and global peace initiatives. This article adds to the growing body of literature on the concept of "rogue states" and offers further insight by exploring and explaining on the concept. Going by the past and current global events that threatened and continue threaten global peace, international players such as the United Nations through the UN Security Council, United States of America and Britain have over the years made effort to develop international laws and policies that would go a long way in guaranteeing stable and peaceful coexistence among countries in the international communities. However, there are countries and states whose intentions are to disturb the world’s peace and destabilize the international community. Such states are usually referred to as ‘Rogue States’. Therefore, what would be a befitting definition of the term ‘Rogue States’? The term ‘Rogue States’ according to many International Relations scholars refers to a country the is keen to deliberately and purposefully commit transgressions and break international laws and policies that are meant to ensure peace globally. Additionally, such states’ intentions are to pose threat to the security of their countries as well as other countries all over the world. There are certain attributes that make a state to be defined and categorized as a rogue state. These attributes relate to commission of major transgressions which are against the international laws and policies. These are: pursuance weapons of mass destruction (WMD),actively carry out or support terrorism and terrorism related activities, systematic and severe violation and restriction of accepted international human rights, and repression and abuse of a state’s own citizens. Additionally, rogue states are characterized by authoritarian rule, involvement in large-scale criminal activities such as drugs trafficking and money laundering or counterfeiting activities, and pathetic handling and treatment of those who dissent to the political leadership of the state. Generally, rogue states do not play by the rules of international politics. Rather they are outsiders to the international community who defiantly flout and show contempt for international laws and policies that are meant to promote global peace with an aim of attaining their own selfish interests.rogue states are also sometimes referred to as ‘Outlaw States’ or ‘Renegade Regimes’. In the contemporary global context, North Korea can be considered a perfect example of a Rogue State and has remained a so for more than six decades. The US considers North Korea, Iran, Sudan, and Syria as "rogue states." The concept of Rogue State, however, is not a novel one in global history. Germany under the rule of the ruthless Adolf Hitler, Libya under notorious Muammar Gaddafi, and Iraq under the reign of iniquitous Saddam Hussein were all once considered rogue states. Players such as the UN Security Council and USA are grappling with the question of how to deal with rogue states such as North Korea which is almost plunging the world to World War Three through its continued quest for and use of weapons of mass destruction such as the Nuclear Weapons. This far, it has turned out fairly difficult for the international community to deal with North Korea and bring to a halt its life-threatening activities.Some breakthroughs in recent history such as the change of heart of the Libyan reign of Muammar Gaddafi from rogue to friend can give hope to this course.